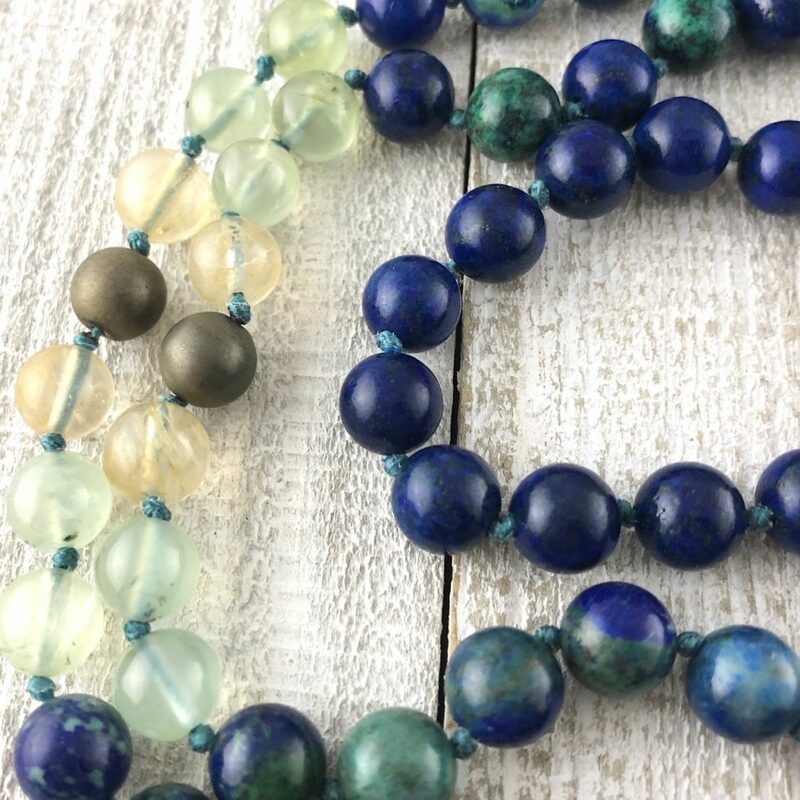 The Agape Mala was designed by The Mystic Mala, in collaboration with Reverend Lee Wolak of the Agape Center for Spiritual Living community in Frisco, TX. 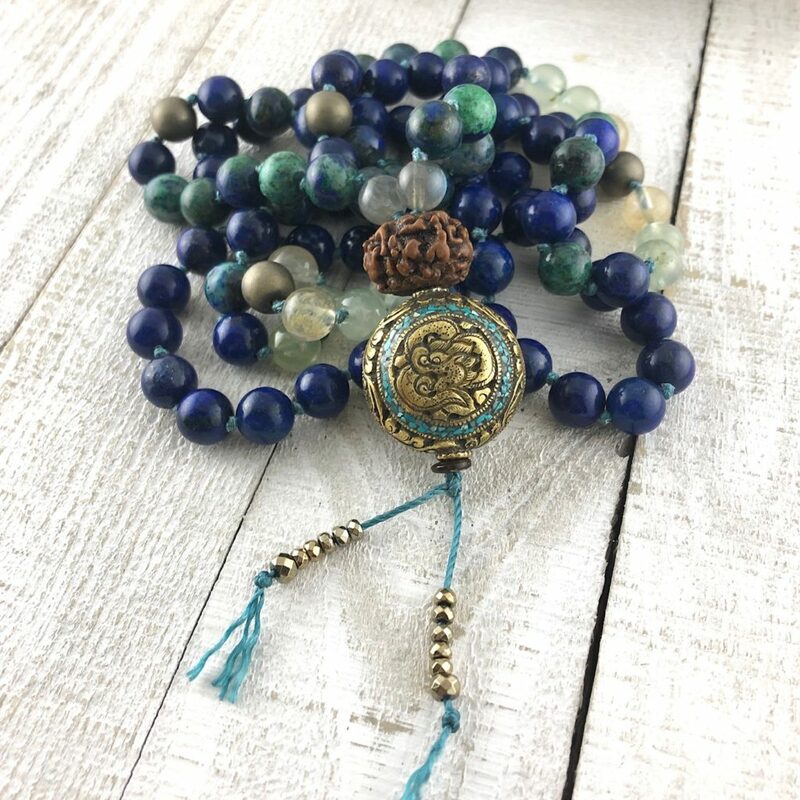 The mala is composed of Lapis Lazuli, Chrysocolla/Lapis Lazuli, Golden Quartz, Prehnite, Hematite, Labradorite and Pyrite. 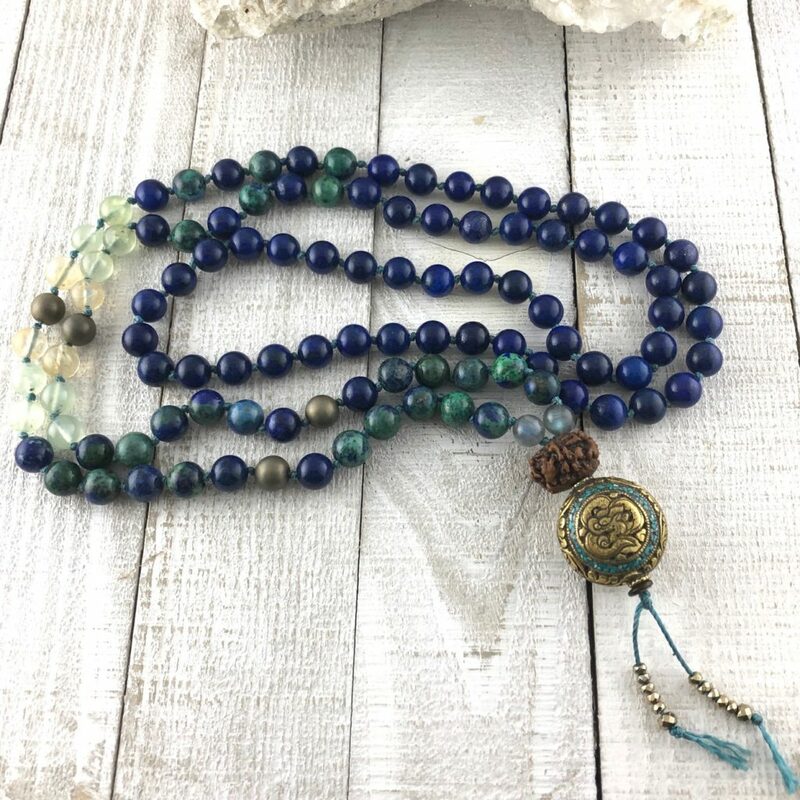 This mala embodies the qualities of Love, Oneness, Connection, Harmony, Expansion and Awareness. It is hand-knotted with 108 beads and a beautiful focal Tibetan brass bead. It measures approximately 23 ½ inches in length. 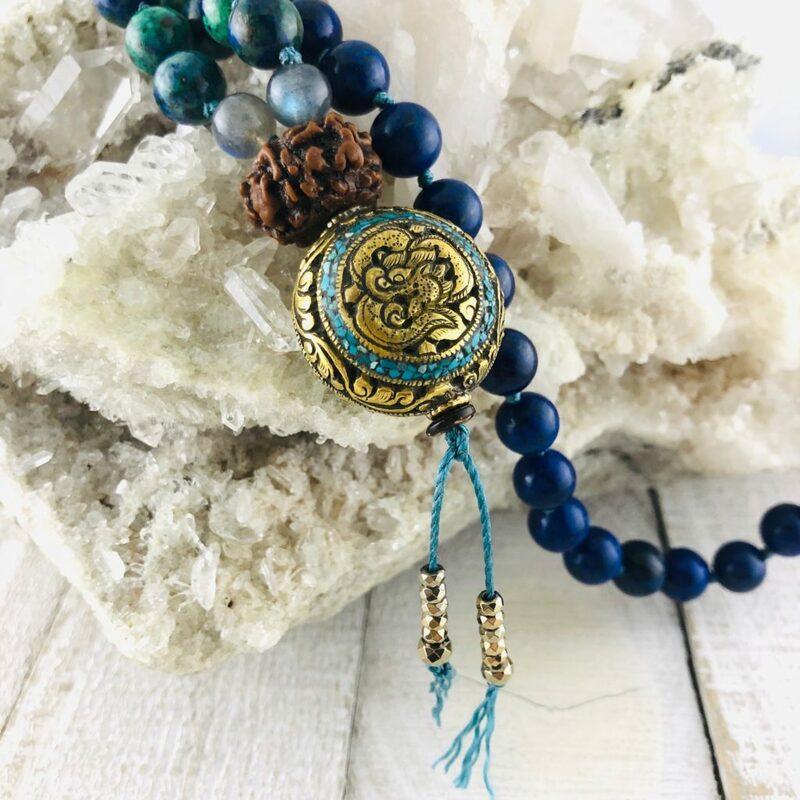 Rudraksha Seed: Increases tranquility, clarity, awareness & concentration; absorbs & stores positive energy; assists in balancing the body’s electro-magnetic field; offers protection from negative energies; believed to be a shield against emissions from modern technology and psychic disturbances.